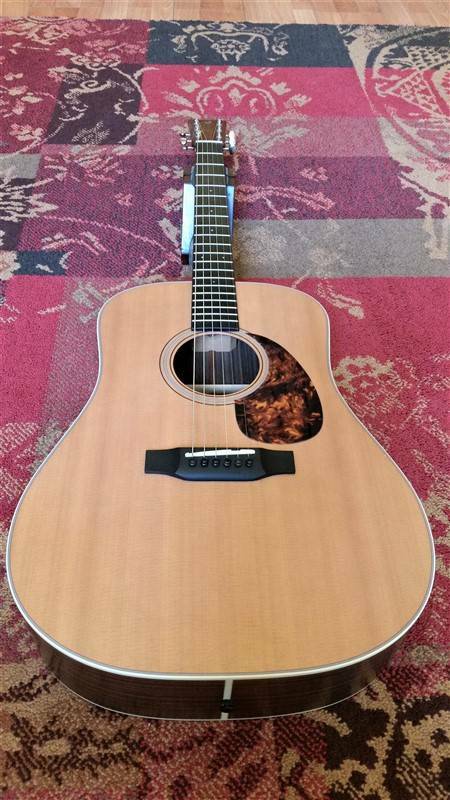 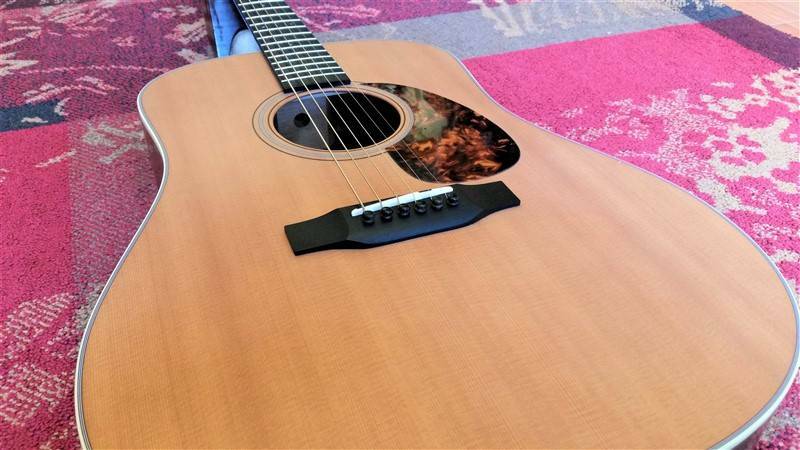 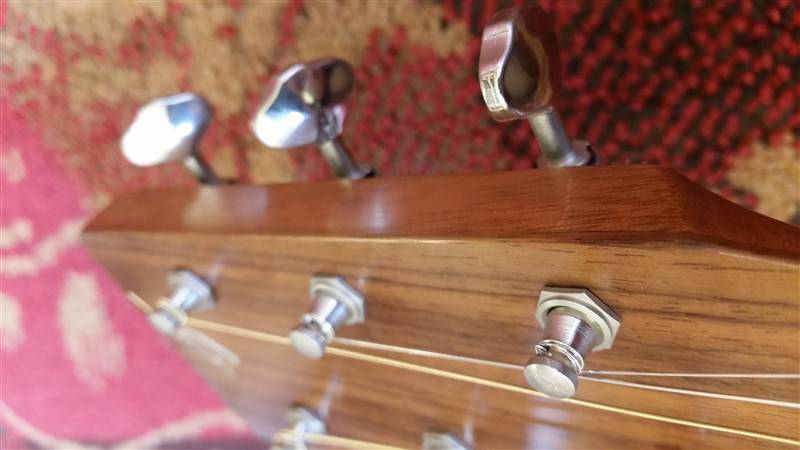 All Solid USA Breedlove Dreadnought. 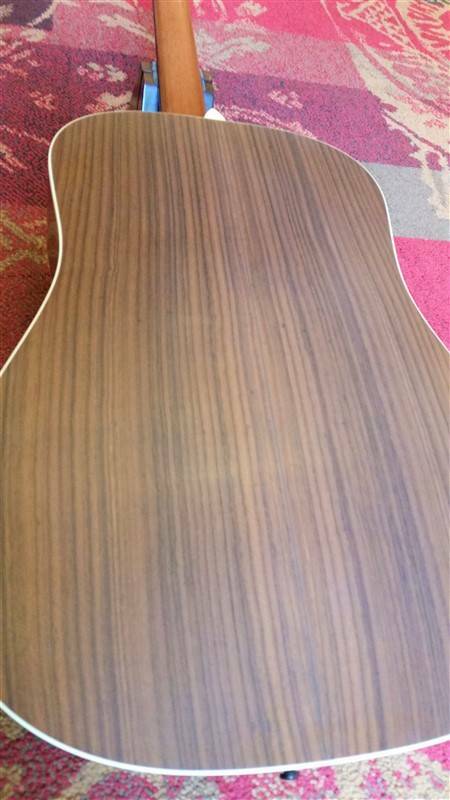 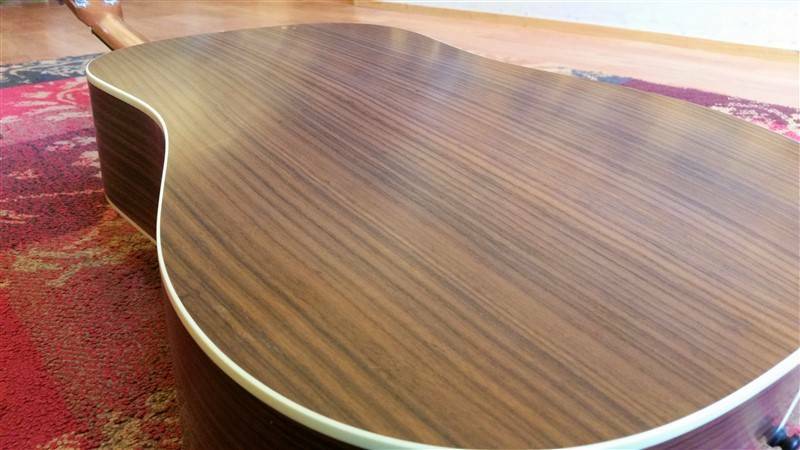 Sitka Spruce top and Rosewood back & sides. 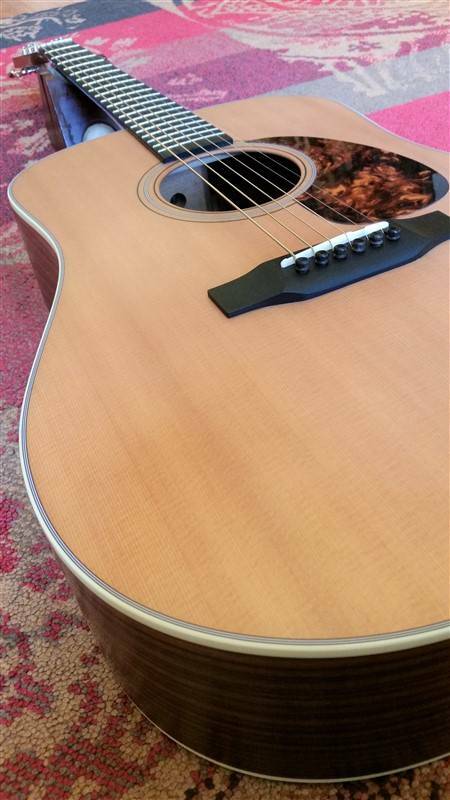 Beautifull Satin finsh and VTS torrefied top. 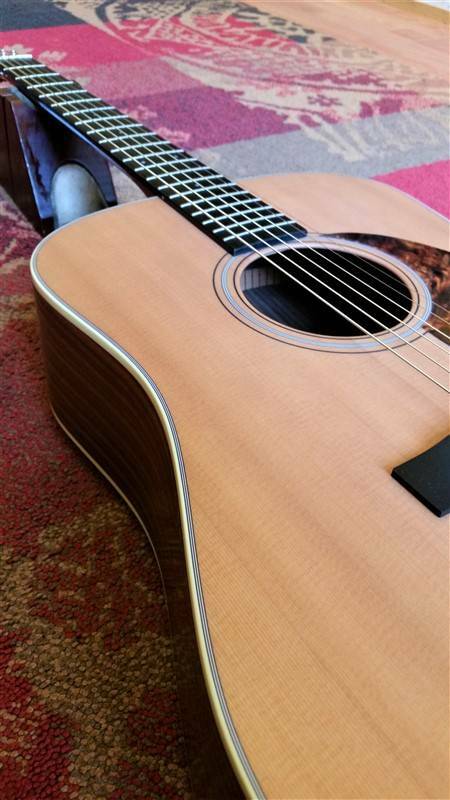 Extremely Dreadnought-like low-end pund, and brilliant highs. 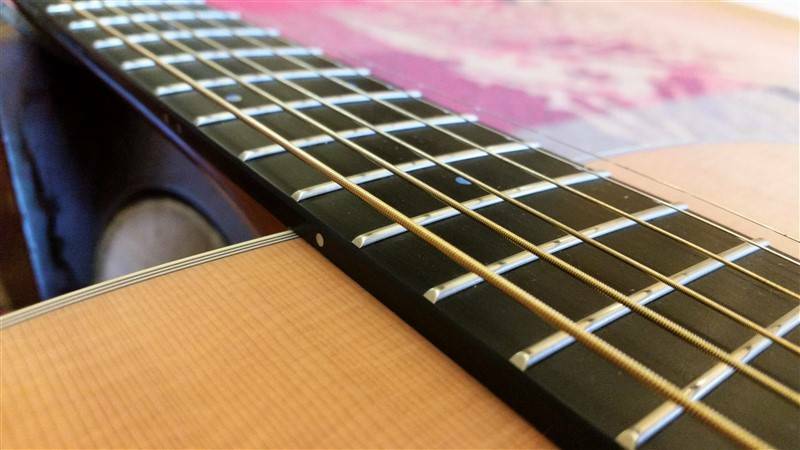 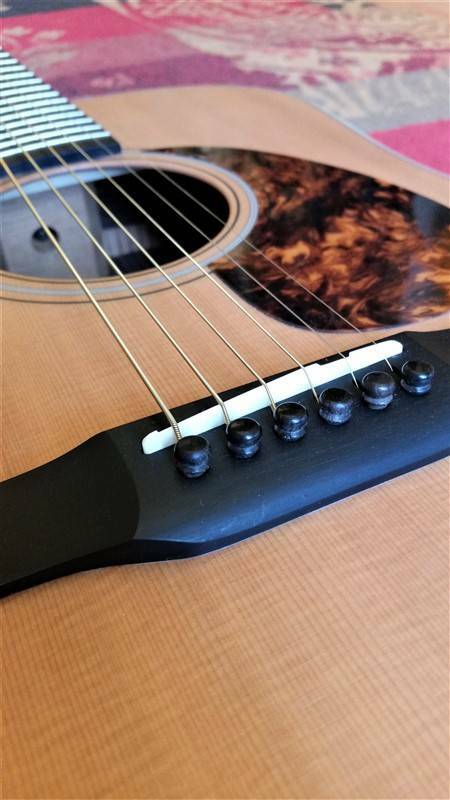 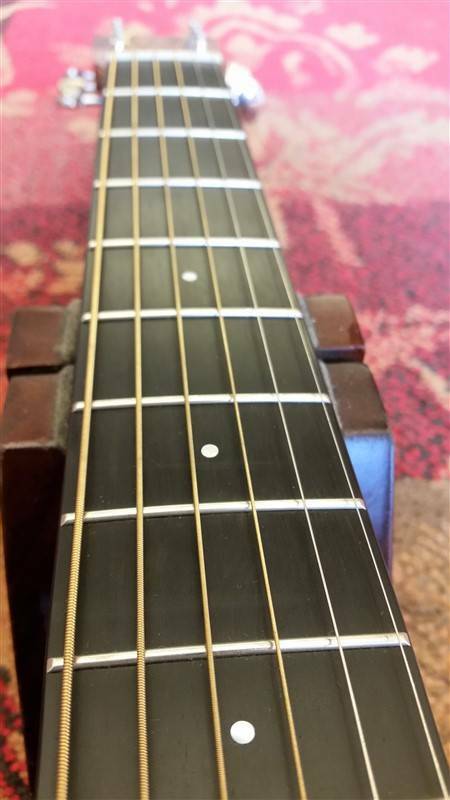 The Ebony fingerboard and bridge have great dark black teint, and add nice ringing overtones.